Ago is used to count back from the present. It is used with a past tense and a time expression. 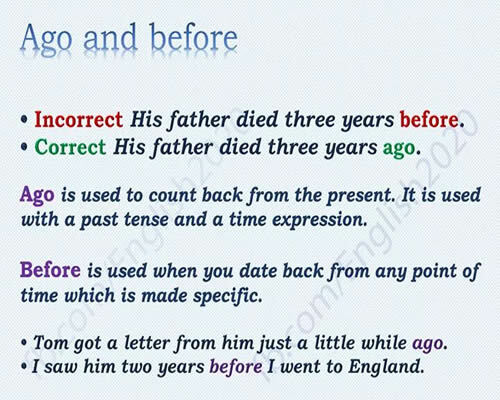 Before is used when you date back from any point of time which is made specific.